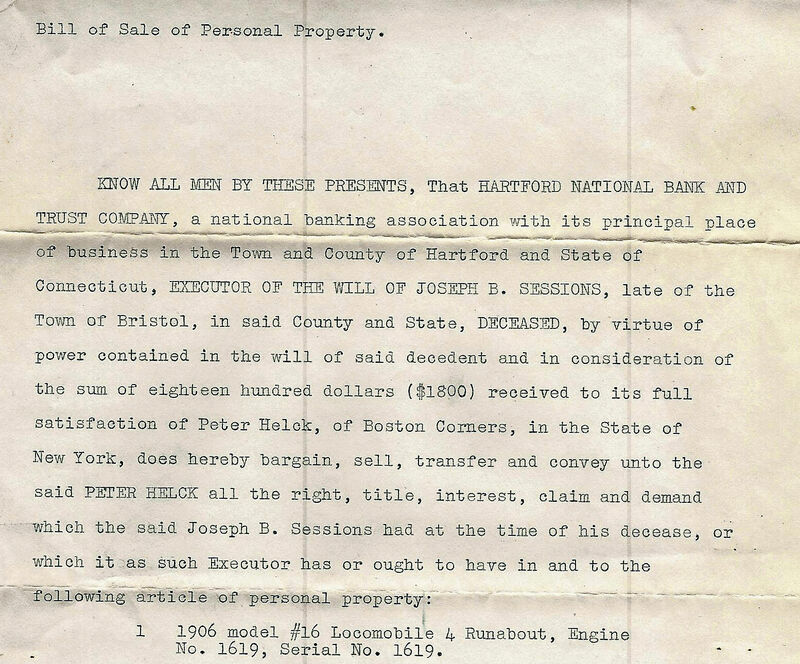 Here are documents related to the bill of sale and several never-before-published photos of Old 16. All documents and photos are courtesy of the Helck Family Collection. 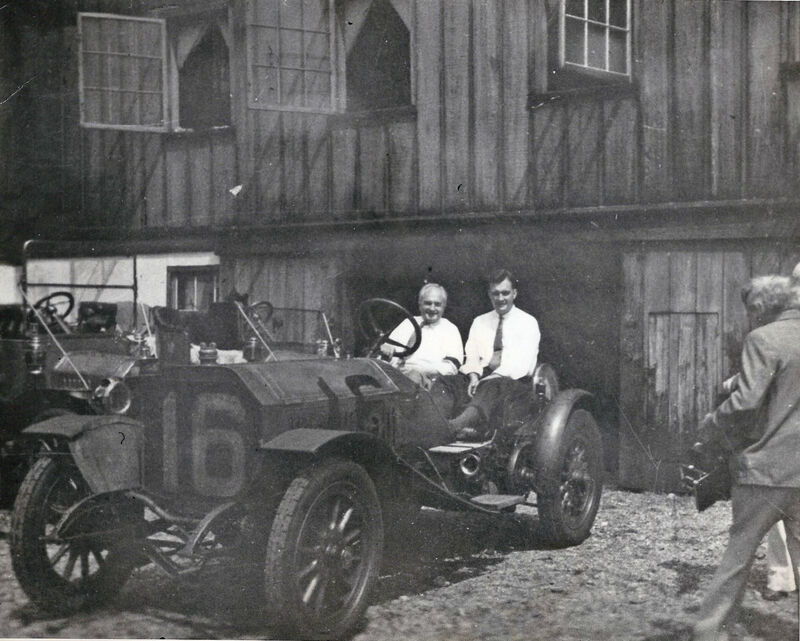 After winning the 1908 Vanderbilt Cup Race, Locomobile used Old 16 extensively to promote its manufacturing prowess, but as the novelty faded, it was placed in storage in a barn on A.L. Riker’s farm. 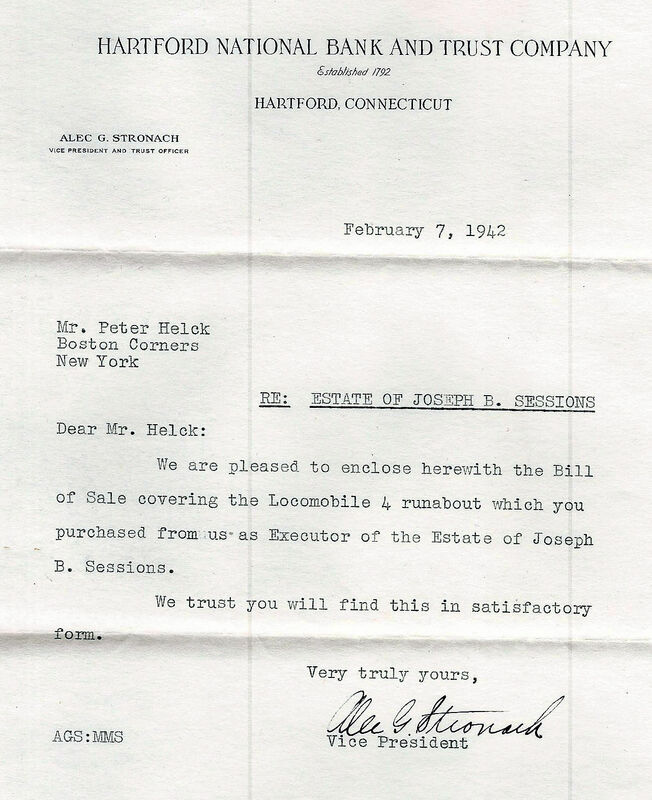 Joseph Sessions, whose firm did much of the casting for the Locomobile engine, purchased the car in 1914. 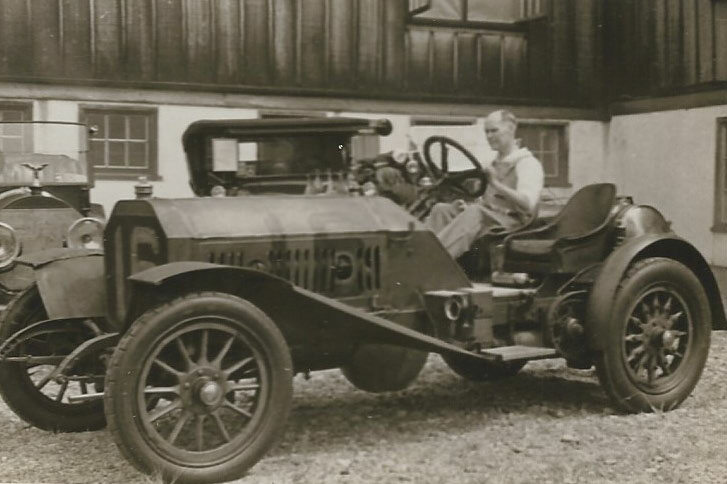 It was housed in a garage on his Bristol, Connecticut farm that was specially built to care for the car. There it was revered for 27 years and only driven by Sessions who occasionally took it to meets of the Veteran Motor Car Club. 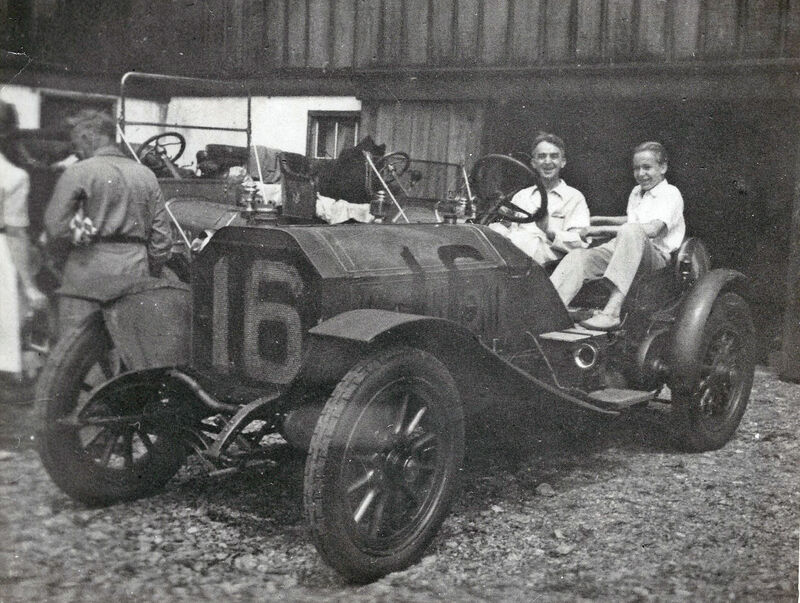 When Sessions died in 1941, Peter Helck, the renowned automotive artist and author, acquired the historic racer from Session's estate with the assistance of his friend veteran driver Joe Tracy. The racer was delivered to his Boston Corners, New York home by none other than Joe Tracy in February 1942. 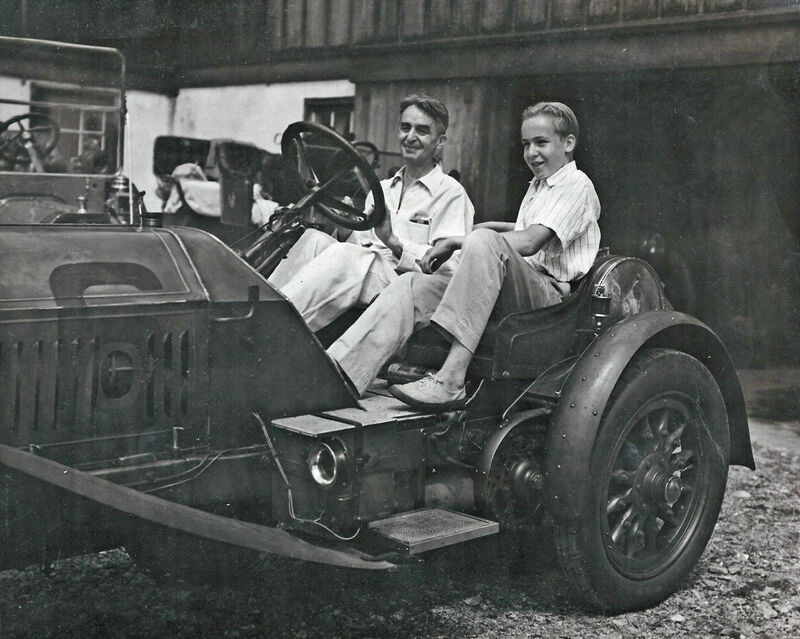 Helck exhibited the car more frequently than Sessions, and allowed both Robertson and Tracy to drive it in touring events, including the 50th anniversary of the Vanderbilt Cup Race held in 1954 at Garden City, Long Island and several Bridgehampton meets. 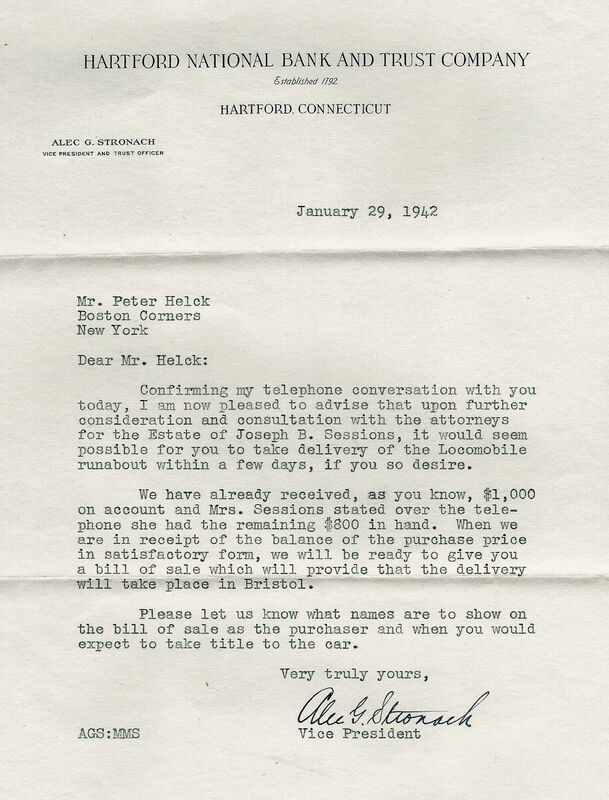 When Peter Helck died on April 22, 1988, ownership of Old 16 had already been transferred to his son Jerry Helck. In 1997, the car was acquired by the Henry Ford Museum where it is currently on display. 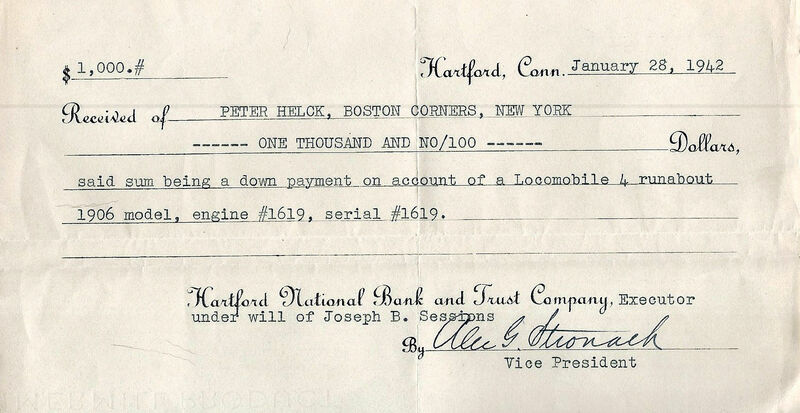 Peter Helck made a down payment of $1,000 for Old 16. Old 16 was purchased from the Estate of Joseph B. Sessions for $1,800, equivalent to $31,000 today. 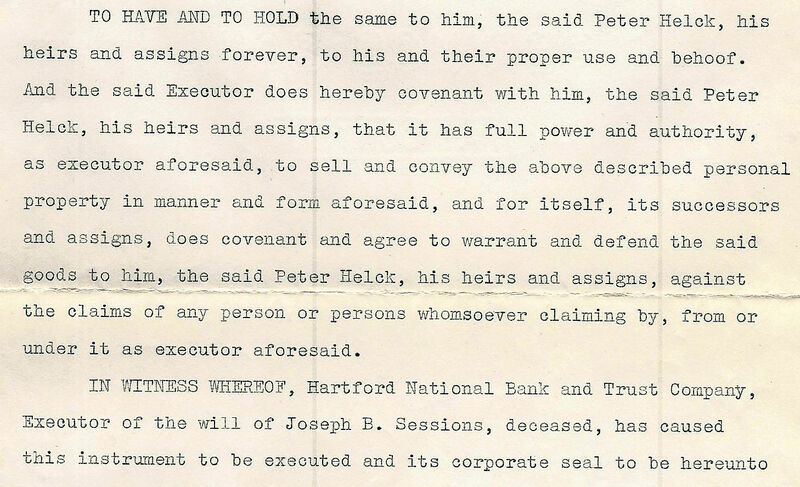 The executor for the Estate of Joseph B. 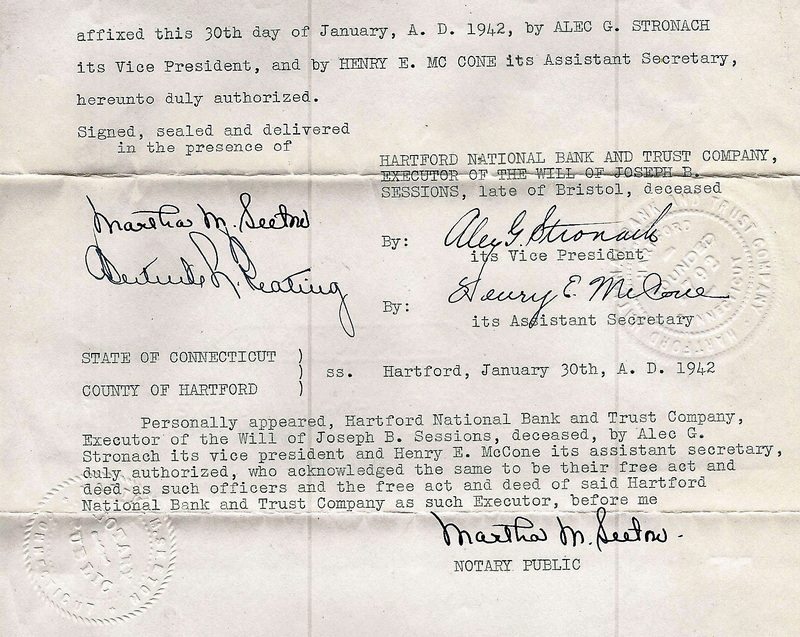 Sessions was the Hartford National Bank and Trust Company. The racer was described as "1906 model #16 Locomobile 4 Runabout, Engine No. 1619, Serial No. 1619." 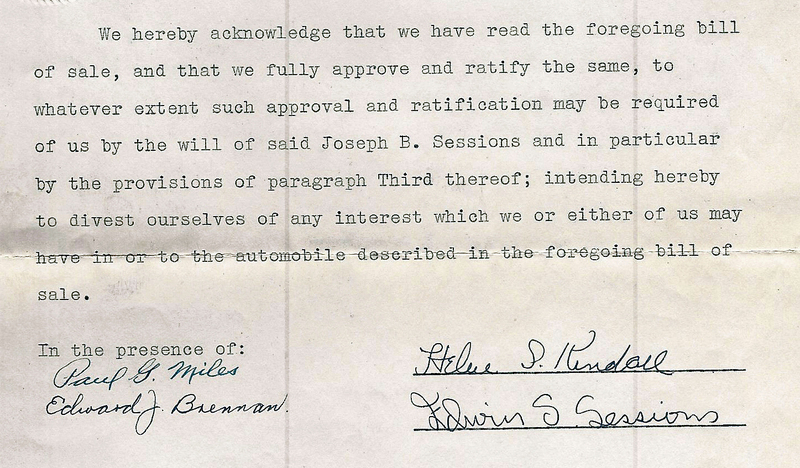 The bill of sale was signed by Edwin S. Sessions, the son of Joseph Sessions, and Helene Kindall, Joseph Session's sister. 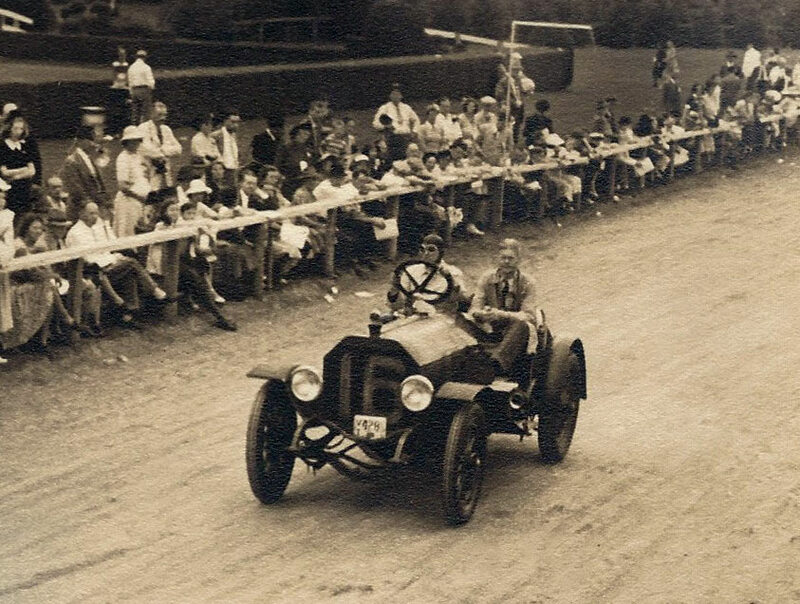 Joseph Sessions and son Edwin Sessions driving Old 16 at a Framingham Meet in April 1938. Edwin S. Sessions became the president and general manager of The Sessions Foundry Co.
Peter and Jerry Helck are sitting in Old 16. Veteran Vanderbilt Cup Race driver Joe Tracy. Veteran Vanderbilt Cup Race mechanician Al Poole and his son Jim. 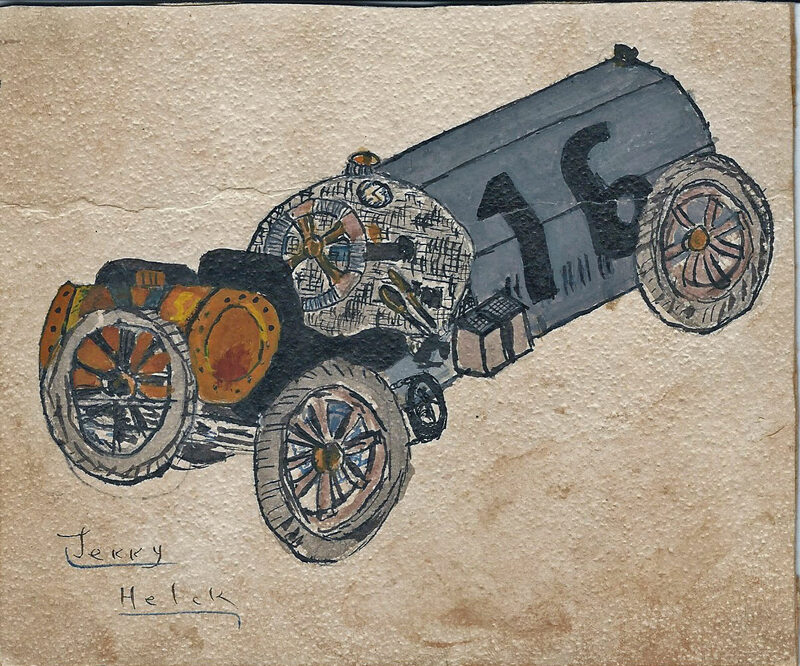 A painting of Old 16 by Jerry Helck that was given to Helen Sessions, the widow of Joseph B. Sessions. Thank you Howard for the history lesson. I will spend some extra time with “Old 16” when I am at the Henry Ford. I was there just last week and was given permission to photograph every corner of Tucker #1016 for your restoration. Next time you come this way I’d love to show you around the HF Museum. Great images, like looking through the family album. Thoughtful gift from young Jerry to Mrs. Sessions. 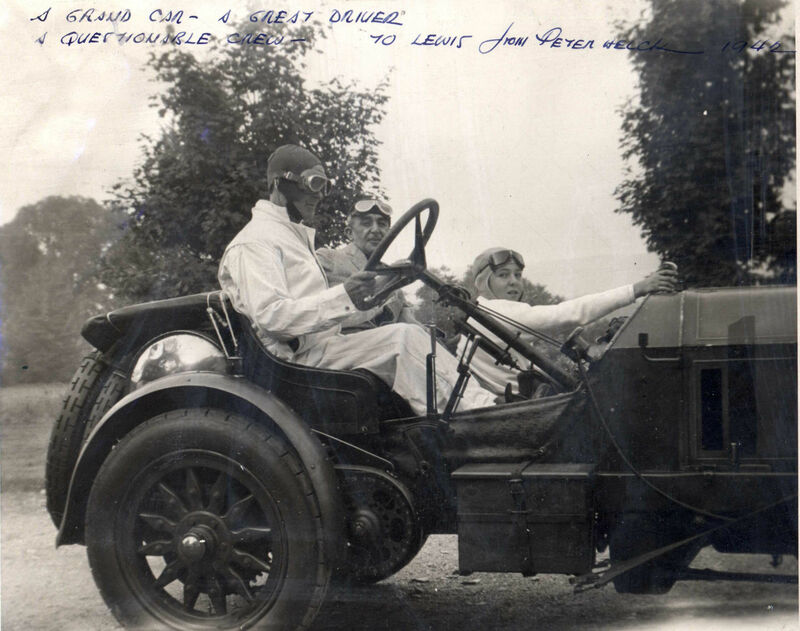 Al Poole, the mechanician for driver Joe Tracy, participated in five Vanderbilt Cup Race related races.